As leading telecom operators are expanding their 4G network to support increasing data demands of customers, utilization inefficiencies remain a pressing issue for Telcos in the deployed network. A leading Australian operator is reaping multi-fold returns and saving multi-million dollars in Capex by realigning their network assets to capacity demand priorities of cell sites using Subex’s ROC Network Asset management solution. 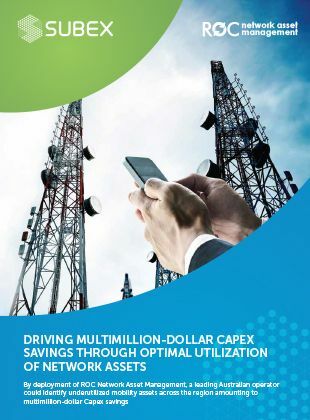 Read this case study to know how Subex is helping Telcos by improving the optimal utilization of deployed network assets according to capacity demands, amounting to major Capex savings.